3/8" binding on hood and pockets; 2 1/2" cuffs; 3" banded bottom. 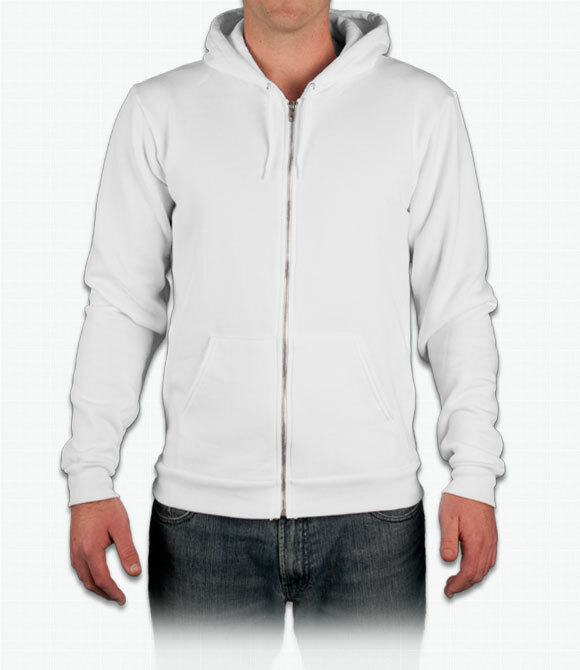 Cotton zip-up hood thats great for warm and chilly occasions. Looks great for casual wear. One of our personal favorites! "It runs a proper size. I live outside the US and find that sizes have been inflated like mediums are now larges. This runs a proper med. Which could be said it runs small. " "The hoodie it self was great. The quality of the print wasn't great. It was just a white logo so it should of been very simple. I has a very similar item made from Uber Prints and the quality of the print was much better. I can send you some pictures if you would like to see them. Thanks -"
"He sweatshirt quality (build quality of the garment alone) is excellent as always. "